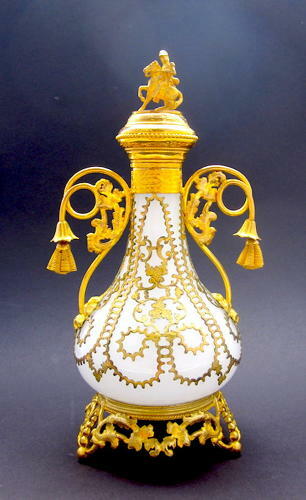 Tall Antique French Palais Royal White Opaline Glass Perfume Bottle with Fine Dore Bronze Mounts. High Quality Mounts and Bells Adorn Each Handle. The Finial in the Shape of a Man on a Horse.